Try this - Click here! ​Hey math fans. Looking for some math that will make you think about math in new ways? 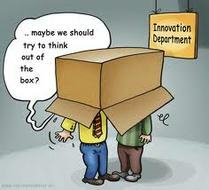 Below are topics for you to have fun while thinking outside of "the" box. Check out this magnificent interactive link about the scale of the universe. It is a web app that lets you zoom in and out to explore the size of everything from the tiniest quantum strings all the way up to the observable universe and then the estimated size of the entire universe. Begin to think about the types of math and science questions one might ask based on the information it gives. CLICK HERE TO check it out! NRICH- has a lot of great math investigations- START HERE with ones that focus on ALGEBRA! NUMBER BIOGRAPHY RESEARCH - These links are helpful and GREAT for Math on Webnesday! NOTE: Sites for your class number research: you can use wikipedia - I did for my number 53 by going here: - You can just put in your number instead of mine. . Article about abundant, deficient, perfect and amicable numbers! Click Here for: Ted talk about the magic of fibonacci numbers! If you watch this, you might be interested in finding your own patterns with Fibonacci! What's so special about this number: A little complicated, but interesting, and it might teach you something.